Research in Motion and Porsche seems to be an odd combination but there is a beauty out there that boasts of the best in class from both these technology giants. Porsche Design has broken all the rules of BlackBerry to craft out this masterpiece however; this phone will definitely make a huge hole in your wallet as it belongs to the ultra luxury. A look at the features this phone stores in it. Pros: You have to hold the phone to believe the next generation architecture that has been used to produce this phone. If looks could kill, this one will seriously make a mark in board meetings or corporate parties. If you hold this phone you will definitely be flocked by even the most indifferent of the folks. This is a BlackBerry with the unprecedented design capabilities that ever were a part of RIM. Not only the design but the other features like the processor, the OS etc are top of the notch that will pitch you way ahead of your peers. The smooth interface, the awesome camera and the massive internal storage will definitely leave you flabbergasted. Cons: The biggest dent in the USP of this phone is the price. Being an ultra luxury item means that only a handful of the people across the globe can own it. An unfortunate feature about this phone is that there are no plans to upgrade the OS to BB10. It means that you will definitely miss out on the more advanced feature of this OS. Another disappointment is the design of the icons. Some of the icons are so similar in design that it can get confusing sometimes and it will take you some time to adapt to it. In the end, it all boils down to the one fact that luxury has a hefty price but those who can afford it stand apart from the rest of the crowd. 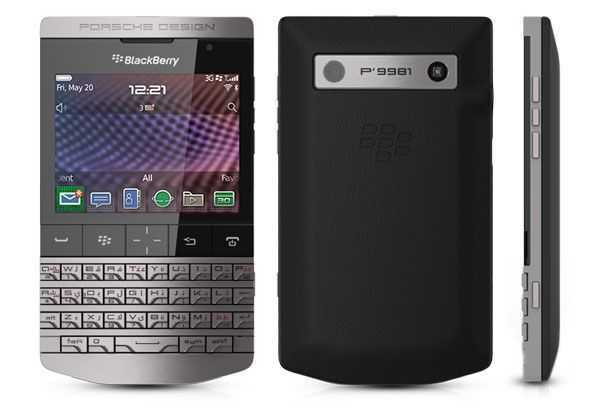 The BlackBerry Porsche P’9981 is one phone that will definitely make your identity unique.